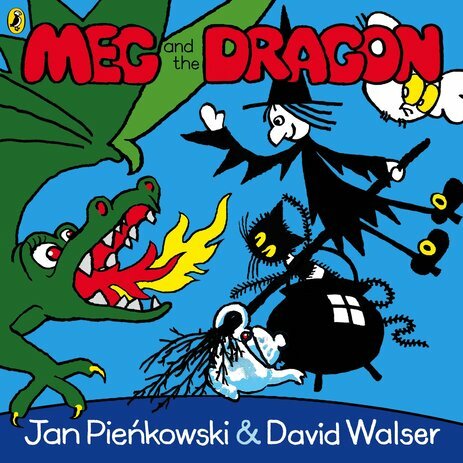 A witch, her stripy cat and a fiery dragon together in one book. What’s the betting that it’s going to be very magical? (It’s also very simple, very funny and totally lovely.) Meg is getting ready for her special Halloween tea. But the teapot is broken. Oh dear! So Meg tries to fix it with a magic spell. But now the teapot is breathing fire and growing wings. Meg seems to have turned her teapot into a DRAGON. Uh-oh! Big on chuckles, colours and crazy energy, this cheeky series has been making little people smile for over forty years.